Elsewedy Electric was recently named the leading company committed to the development of intra-African trade and investments at the «South-South Cooperation Awards Ceremony», which took place during the 6th edition of the International Africa Development Forum. The forum was organized by Attijariwafa Bank Group and the Pan-African Private Investment Fund Al Mada, and was inaugurated on 14 March 2019 under the theme «When East meets West». 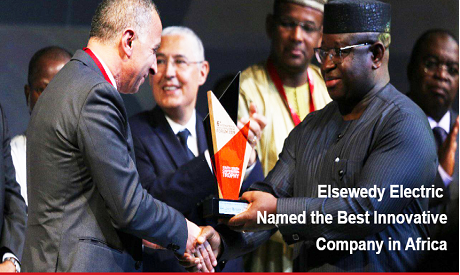 The award won by Elsewedy Electric recognizes achievements of the companies operating in Africa for their innovative projects throughout the continent. Launched in 2010, the Africa Development Forum has established itself as the reference platform for dialogue, investment promotion and intra-African trade. The forum is being held annually since 2015 due to its success among stakeholders, as it serves as an opportunity for valuable business interactions among economic operators.